Recycling is going to get a lot more expensive for homeowners. Recycling companies used to make money shipping goods to China, but China has halted imports over contamination concerns. Now municipalities are forced to charge homeowners way more to recycle goods — and in some cases, it all just ends up in landfill anyway. It all has to do with China’s once insatiable appetite for our recycled goods. The US ships much of its recycled material — plastic bottles, scrap paper, and cardboard — to feed China’s industrial boom. China, however, suspended imports earlier this month of recycled goods from the US until June 4, and now, the plants across the US that used to make a healthy profit shipping recycled goods are effectively cut out of the export market. While the suspension only lasts until next month, it’s a sign that China doesn’t want to buy recycled goods from the US anymore. China’s stated reason for halting imports was that the purity — the amount of food waste and other contamination in recycled goods — from the US has declined in recent years. Up to 20% of the scrap material the US ships to China is contaminated with food or liquid, according to the Wall Street Journal. That number has doubled in the last five years as cities aggressively ramped up their recycling push. Separating contaminants from recycled material is dangerous, expensive work, but some in the recycling industry say China’s move to halt the imports may also be a reaction to the Trump Administration’s escalating trade fight. Because recycling plants no longer have China as a customer, they need domestic consumption to meet demand in order to continue turning a profit from recycling. But that doesn’t seem to be happening. To make up for the lost revenue, municipalities have been forced to increase how much they charge homeowners to collect recycling, in order to ensure the excess supply doesn’t end up sitting at recycled plants — or worse, end up in landfills. All that adds up to a price increase for homeowners. 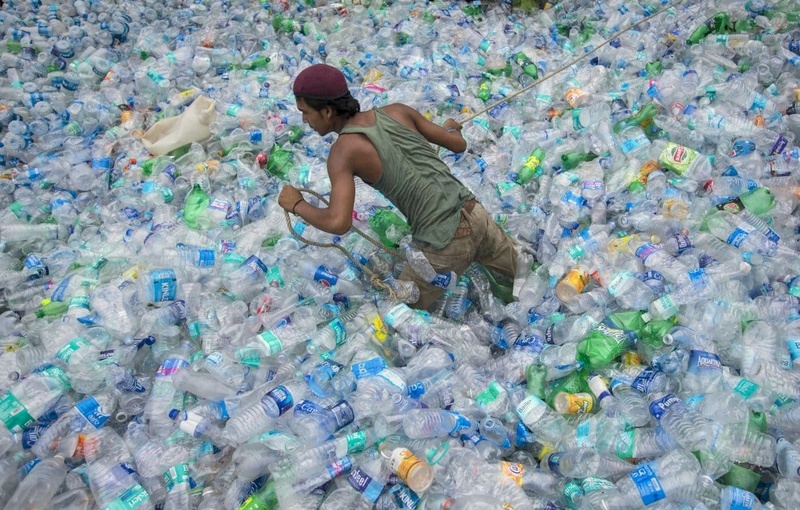 For items like mixed plastic, it’s not even worth it for many cities to recycle anymore.